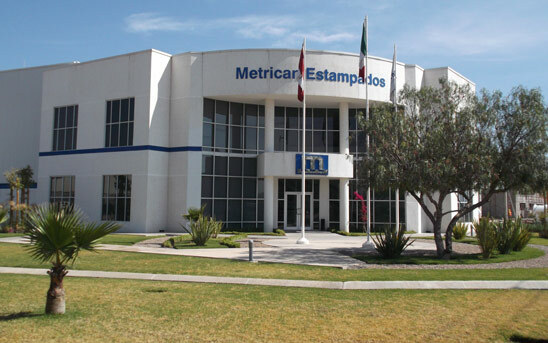 MetriCan Estampados is a recently expanded 103,000 sq. ft. facility. It was originally built in 2009 in the Tres Naciones Industrial Park in San Luis Potosi, Mexico. Equipped with Press lines ranging in size from 150 tons – 1200 tons, including multiple Linear Transfer systems. Assembly processes include various technologies, such as Robotic Spot Welding, Resistance Nut Welding & Robotic Mig Welding. Presses ranging from 150 – 1200 Tons. Resistance, Projection and Mig Welding cells. See equipment list for details.